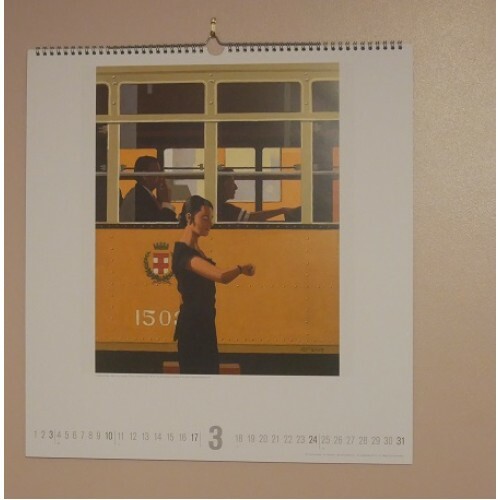 2019 Calendar featuring a different Vettriano image each month. Flip open, each month reveals a different Vettriano image on the top, with the months calendar details on the page below. Hole punched at the top center of each page for hanging. Beautifully designed. When finished with, each image could be trimmed and used as a poster or in a frame.